Background/Info: Hailing from Ukraine, but based in Vienna (Austria) “Edge Of The Universe” is the official debut work of Dmytro Fedorenko and Kateryna Zavoloka. 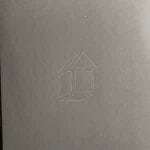 This vinyl is the first chapter of the French label’s “Stand-Alone”-series. The album features 6 cuts and looks like what we in the past commonly called a mini-album. Content: Cluster Lizard brings different elements together. From background drones to pure experimental sound treatments to industrial noises to ambient atmospheres to minimal- and intelligent electronics this work sounds as a sonic bridge between different genres. + + + : The rhythmic is an essential and important aspect of this work. But it’s just a part of the global production, which reveals impressive noise manipulations and great electronic treatments. 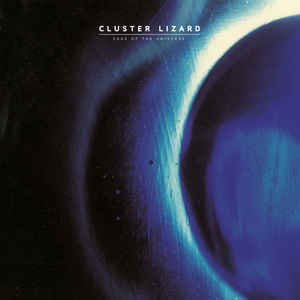 Cluster Lizard in a way excels in industrial-minimalism. 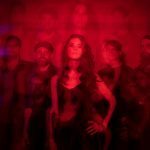 The global approach of this record is original and definitely composed by creative musicians. I also enjoyed the progression of the tracklist featuring the best cuts in the last part. – – – : I regret this work doesn’t feature spoken samplings and/or a few spoken vocal parts. Conclusion: This vinyl is a nice discovery from a less familiar, but definitely talented formation. I like the sound intelligence and global minimalism running through their work. Best songs: “Stellar”, “Being Alive Isn’t Everything”, “The End Of Time”.